This was a guide that we wrote with Ahain Group to provide information on infographics! An Infographic is a way of taking complex and detailed information and presenting it in a visually pleasing way that is easy to assimilate and, most importantly, share online. They are creative, colourful and fun and capture the salient points of a topic in a clear and concise manner. Infographic creation is not a new phenomenon; in fact traditional media has been using creative pictorial diagrams for years, just look at the weather graphics in newspapers. In the digital space they have emerged as a new trend with many brands utilising their viral nature and visually compelling layout to maximise their business message and drive traffic to their core products and services. The integration of visual information into a content creative strategy is an optimal benefit to a business. Find out how to best use an Infographic for business through the creative preparation, layout definition and post creation sharing strategy. As the Infographic shows, there are many benefits to sharing a graphic visualization. High quality Infographics are 30 times more likely to be read than text. 40% of people respond better to visual information then text. Publishers that use Infographics grow in traffic on average 12% more than those that do not use Infographics. Google algorithms do not recognise images as an SEO value. The actual value of the infographic is in its propensity to be shared. 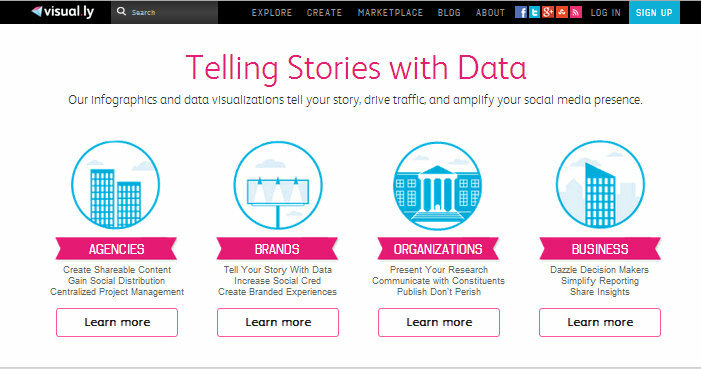 The viral nature of infographics allows for what is known as link baiting. Link baiting is creative web content that is quickly shared and drives traffic to your website via an inbound link. Google recognises the volume of inbound links as an SEO value, hence a good quality; engaging visual has the ability to enhance website traffic as well as adding SEO value. An Infographic can be used to display information in relation to any topic. The secret is to choose the salient and most interesting facts within a topic in order to attract attention. Statistics are the most popular choice when creating an Infographic, however there are many variations. The most common types can be divided into eight categories. Statistical: Uses a lot of numbers and data in chart and pictorial format. Comparative: A format to review one thing against another. Comparable data is required and the subject of review must be good enough to attract the user. Flowchart: A flowchart works well online and also gives the user a choice of path to take. Photograph: As most infographics use cartoon or vector style visuals, a quality photograph can stand out online. Timeline: A pictorial version of milestones in a journey. The timeline content should flow so the user can follow the timeline steps with ease. 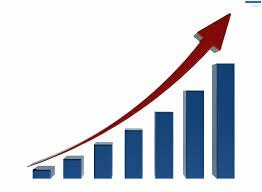 Visual Data: This is a creative use of the elements to display statistics that would normally appear as numbers in charts. Useful Bait: A reference tool for information that can be used again and again. Article: A way to transform textual data with imagery. Highlight the most relevant and interesting statistical information. Choose a topic that will attract your target audience to maximise the potential ROI. Focus on SEO to optimise the search results – apply a key word search and choose your terminology carefully when introducing the infographic on your site. Once you have the content, you have to decide how much information you want to display in the Infographic. It is recommended that you have no more than 15 components within a visual so that the presentation is succinct. As with blog creation, the most eye catching and relevant information is usually displayed first. This is the initial attraction to the reader and increases the chance of them reading the rest of the content. The closing content summarises the topic and displays a call to action. The audience – would they look at symbolic visuals that are fun or would they prefer to read information that is displayed in a statistical way? 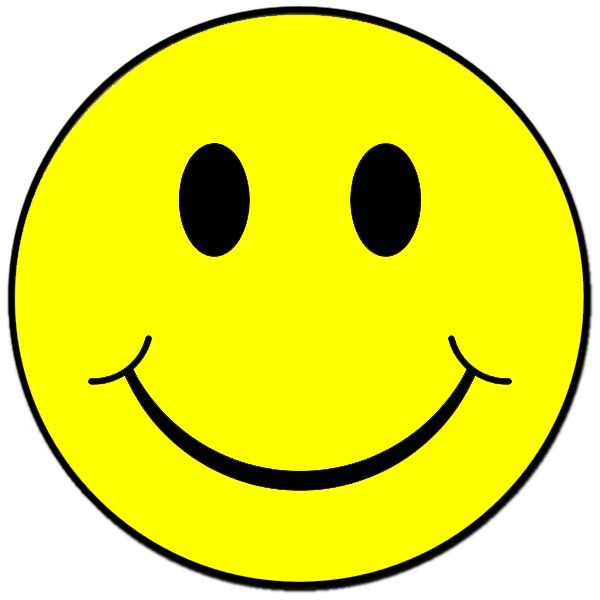 As a brand you will be able to decide whether a graph or a smiley face better suits the information you wish to impart. The Company brand – are you a brand that has a serious corporate image or are you a more informal brand? Again this relates to the type of audience you wish to attract in whether to display austere graphics or more casual symbolic graphics. The message – are you portraying a serious message that requires a certain sensitivity in its presentation or are you defining your message with a humorous theme? Most certainly an Infographic displaying statistics of injuries within the workplace in Ireland would be presented with a modicum of sobriety. 1. To use colours that tie into your branding to enhance the Company profile and image. 2. Colours that are relevant to the information: A green, white and gold theme to portray an Irish themed topic or corporate colours that enhance a serious topic. Now you have to design the layout of the Infographic so that it optimises your message. Sketch the layout on paper so you have an idea of how the different segments will piece together. Keep in mind the visual graphics and colours that you have decided to use. Make good use of all spaces within the framework so that all the information is displayed to the best. There are huge wealth of sites online that provide a creative platform in which to make your Infographic. Here are three top examples of these sites which show the steps involved in the Infographic creation process. They also offer free templates so are ideal for beginners. Piktochart provides six free easy designs for the beginner. The site shows you how to drag and drop objects into place and applies text and charts. The Infographic can then be saved and exported in jpg or png format. 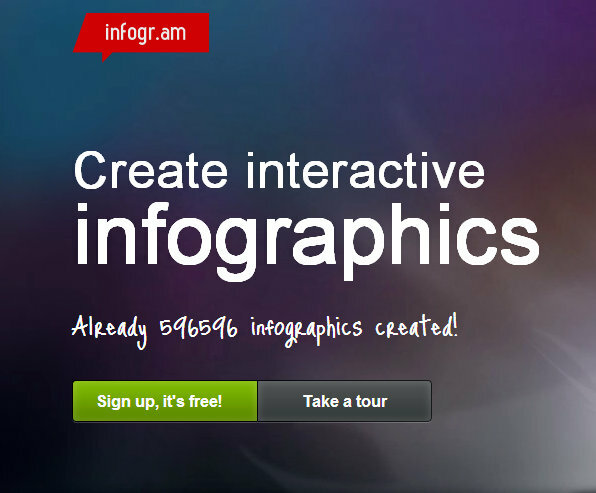 Infogr.am is a free, web-based tool that provides graphical themes and a simple creation process. Once the infographic is created it can then be embedded on your website. 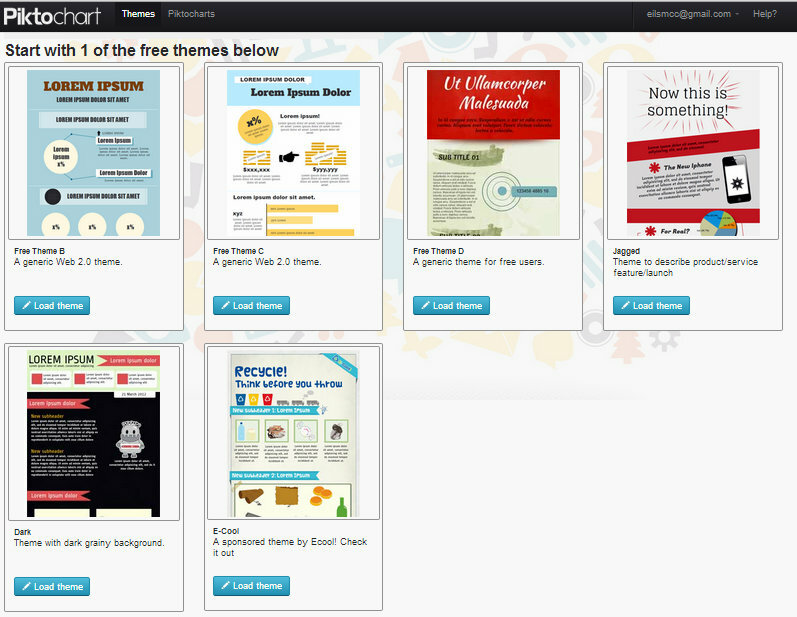 Visual.ly has some great free tools that allow you to integrate with Social Networks. It is not so much a free creation tool than an inspirational tool for designs and a contact network that can put you in touch with infographic designers to discuss professional and high end visualisations. Infographics can easily be implemented into your existing online strategy. You have applied SEO to the content and once hosted on your website platform this can drive traffic to your site. Social Media share buttons, embedded where the Infographic is hosted, are vital. Take relevant key words within the infographic and plan a sharing strategy that drip feeds each piece of information over time. Search for the key phrases on Twitter and engage with Tweeters who are talking about the topic online. Refer them to your Infographic. Cut a segment of your Infographic that shows one piece of information. Share this on your Facebook page with a link back to the full Infographic on your website. Engage with people who show an interest in your Infographic, highlight the page to relevant, online influencers with huge traffic sites that can showcase your work and tie it back to your site. Remember: Infographics have a huge potential to go viral. It is a combination of planning the topic, key search terms, visualisation, layout and sharing strategy that optimises the virility of the information. Conversation around the brand can also be measured through social sharing statistics and interaction with the infographic through comments on the site and on social media platforms. 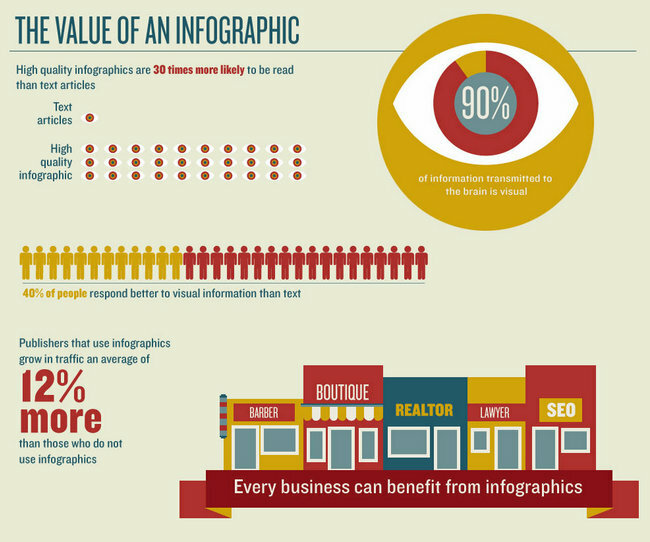 Have you used Infographics for your business? Tell us how they worked for you!